RIVERSIDE COUNTY, Calif. -- The California parents accused of torturing and starving their children and shackling them to beds for months at a time have been ordered by a judge not to have any contact with the victims. The court proceeding Wednesday is the latest step by authorities to sever ties between David and Louise Turpin and their 13 children. The siblings, between 2 and 29 years old, were severely malnourished when they were rescued from their filthy home in Perris on Jan. 14. The Turpins appeared in a Riverside County court shackled, wearing suits. A judge approved Riverside County prosecutors' request seeking a protective order prohibiting the Turpins from having any direct or indirect contact with any of their children. Defense attorneys did not oppose the request, and the hearing lasted less than 10 minutes, Press-Enterprise reporter Brian Rokos tweeted. The order expires in three years and bars the couple from being within 100 yards of the siblings or making electronic contact with them. The judge also prohibited the couple from owning firearms and ordered them to relinquish any firearms they may own. She read the terms of the protective order to both of the defendants, each of whom agreed. With the siblings' expected release from the hospital this week, a source tells CBS News officials want to make sure they do not visit their parents in jail, fearing any conversations could taint the ongoing investigation. The case has received attention from around the world, and the defense has asked the judge to move the trial due to publicity concerns, the paper reports. 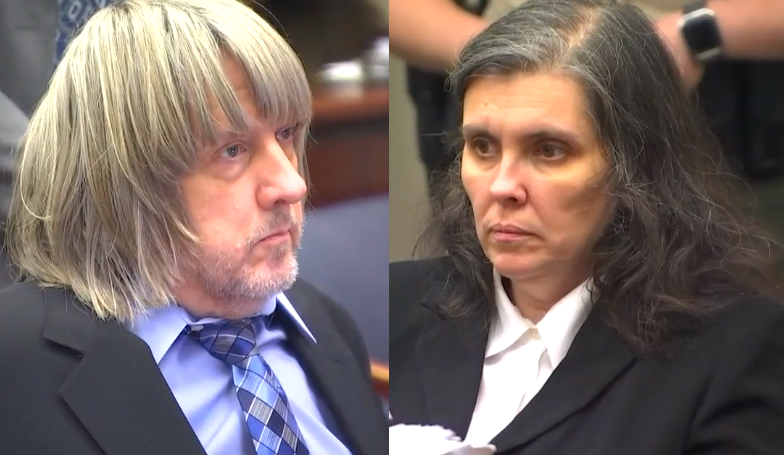 The Turpins have pleaded not guilty to torture, abuse and other charges. In an interview Wednesday with the Associated Press, Riverside County District Attorney Mike Hestrin said the children remained hospitalized and were relieved to be rescued from what authorities called a torture chamber. He says investigators are slowly receiving valuable information from the siblings, but are going to let the victims tell their story at their own pace. A source tells CBS News the county has won conservatorship over the adult children, and they'll move to a supervised living facility Wednesday. And starting Thursday, the six minor children will be split up to live in two foster homes for the time being. About 20 people from across the U.S have offered to take the seven adult children and six minors and keep them together.